I am always inspired by the energy and passion I find in small businesses. That’s why these might be the most rewarding sites of all to develop. To take an idea, turn it into a product then connect and sell to customers. What can I say? 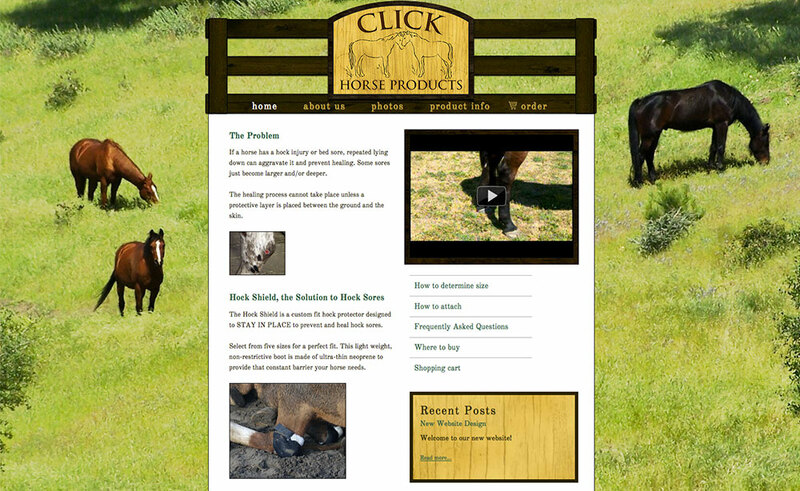 It’s a pleasure to witness a business assume a legitimate web presence and grow…especially when that business is local! 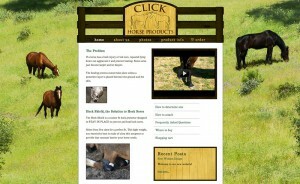 Sheri, the owner of Click Horse Products, developed a neoprene bandage to help horses heal sores on their hocks. At the time we were designing the site, Sheri was applying for patents. With patents secured, she has since moved from sewing the products herself to having them manufactured. Now, Sheri is having a great time at trade shows, coordinating promotions on the website and selling product to new vendors. Having a professional web presence behind her makes all of that business activity easier to manage.